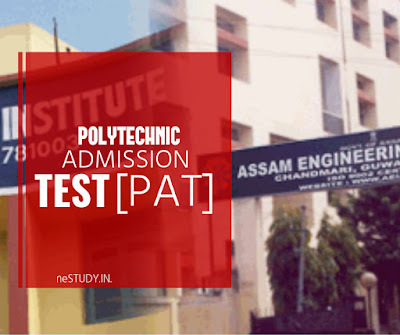 Just here to remind you that Online application process for Polytechnic Admission Test, commonly PAT-2017 for the admission into diploma courses in the Polytechnic Institutes of Assam starts from today. PAT-2017 will be held on 21-05-2017. Actually the Test is not only for admission into the Institutes of Assam, but also few seats that are reserved for Assam in the institutes outside of Assam will be filled up. As of now, 21 Polytechnic Institutes are running in Assam. List of all the institutes is given below. If you really want to make your career in Polytechnic, check out below the eligibility criteria and how to apply for it and what books are required for preparation. Candidates must have passed HSLC or equivalent examination with 40% marks on average in Science and Mathematics. However, for SC and ST, it is 35% and 33% respectively. Candidates should born on or after 1st August, 1997. For SC and ST, year is relaxed to 1994. You will get a brief description on how to proceed to the complete registration process. Then you can start your application process by clicking on “Click here to apply”. Make sure you get ready with required size photo and signature. The size is clearly mentioned. The application fee is Rs. 400/- which is to be paid by means of SBI Collect. You will get that option at the last step of your online registration. Under section "Polytechnic Admission Test-2017", click on "applicant login". Log in by providing your Application Number and Date of Birth. Admit card will be generated and take a print out. 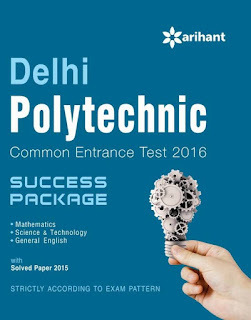 You can study the following books for your Polytechnic Admission Test Preparation. Click here to know more about the books. Download the official advertisement from here. I have complete my 2 year electrician course under NCVT in ITI.